Below you fill find all funeral homes and cemeteries in or near Harleysville. Suburbs of Harleysville: Harleysville Insurance Co.
Harleysville is also known as: Montgomery County / Harleysville CDP. Zip codes in the city: 19438, 19441. Some of the notable people born here have been: (tom mclaughlin (soccer)). Harleysville is a census-designated place (CDP) in Montgomery County, Pennsylvania, United States. The population was 9,286 at the 2010 census. It is located mostly within Lower Salford Township and also in Franconia Township. Harleysville was settled by Pennsylvania Dutch in the 18th century and was named after Samuel Harley. It was disclosed on February 7th, 2018 that John C Alfano passed away in Harleysville, Pennsylvania. Alfano was 92 years old and was born in Providence, RI. Send flowers to express your sorrow and honor John C's life. It was revealed by Hazleton Standard-Speaker on November 30th, 2014 that Lenore J "Pinky" Berger (Baines) died in Harleysville, Pennsylvania. Ms. Berger was 91 years old. Send flowers to express your sympathy and honor Lenore J "Pinky"'s life. It was noted by The Phoenix on September 14th, 2014 that Mary Gordon perished in Harleysville, Pennsylvania. Gordon was 94 years old. Send flowers to share your condolences and honor Mary's life. It was reported on June 13th, 2014 that Richard Croyle perished in Harleysville, Pennsylvania. Croyle was 89 years old. Send flowers to express your sympathy and honor Richard's life. It was revealed by The Sentinel on September 20th, 2013 that William G Dickinson passed away in Harleysville, Pennsylvania. Dickinson was 82 years old and was born in Pontiac, MI. Send flowers to express your sorrow and honor William G's life. It was reported on August 11th, 2013 that Melvin A Landis died in Goshen, Indiana. Landis was 83 years old and was born in Harleysville, PA. Send flowers to express your sorrow and honor Melvin A's life. It was revealed by The Times Herald on May 18th, 2012 that David Leo Kennedy passed on in Harleysville, Pennsylvania. Kennedy was 91 years old. Send flowers to share your condolences and honor David Leo's life. It was reported by The Times Herald on April 13th, 2012 that Patrick A Jordan perished in Harleysville, Pennsylvania. Jordan was 91 years old. Send flowers to share your condolences and honor Patrick A's life. It was noted by The Times Herald on March 17th, 2012 that Anthony Cicippio perished in Harleysville, Pennsylvania. Cicippio was 86 years old. Send flowers to express your sorrow and honor Anthony's life. It was revealed by The Times Herald on January 6th, 2012 that William C Gannon perished in Harleysville, Pennsylvania. Gannon was 80 years old. Send flowers to share your condolences and honor William C's life. Harleysville is home to an annual Heckler Fest held at the historical Heckler Plains, one of the oldest properties in the area. Harleysville is a census-designated place (CDP) in Montgomery County, Pennsylvania County, Pennsylvania, United States. Harleysville was settled by Pennsylvania Dutch in the 1700s. Harleysville was settled early in Pennsylvania’s history (circa 1700). It is also home to the Mennonite Heritage Center due to the area's Mennonite (similar to their northern neighbors, the Amish) influence. The population was 8,795 at the 2000 census. A funeral will be at 2 p.m. Tuesday ... at 2210 Shelly Rd., Suite 2, Harleysville, Pa. 19438. Here are the results for funeral homes in Harleysville Pennsylvania. 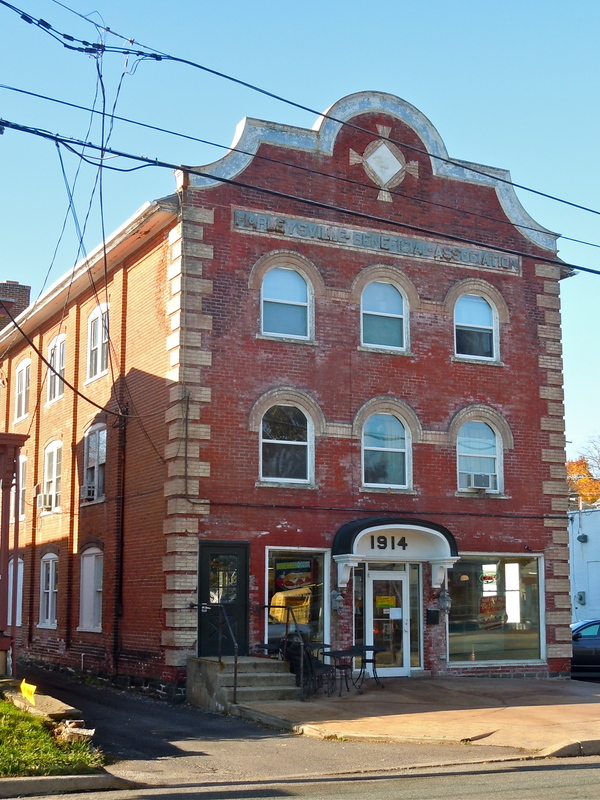 You can find some of the best funeral homes businesses serving Harleysville. Listing all funeral homes in Harleysville, Pennsylvania so you can easily send flowers to any location (same day delivery) or find any funeral service. We work with local florists and flower shops to offer same day delivery. You will find budget sympathy flowers in Harleysville here. Our funeral flowers are cheap in price but not in value.